Wow what a great purchase or aquisition. 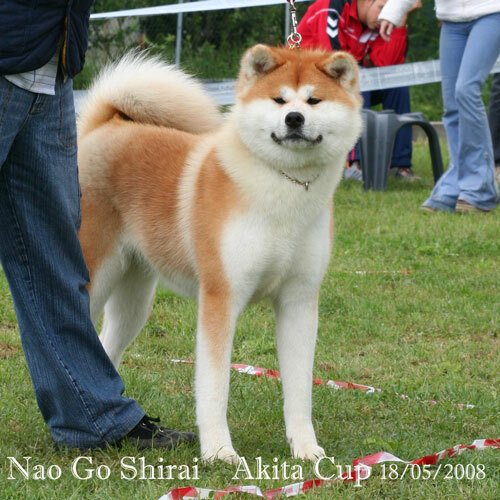 Nao was born in Japan and bred by the great YUKIKO SHIRAI kennel. Then imported to Italy to be the instrumental Foundation Female of Casa Saporito. If you look at site at Saporito you will soon find out that Tony kept at least 7 of her sons and daughters all of fantastic quality. 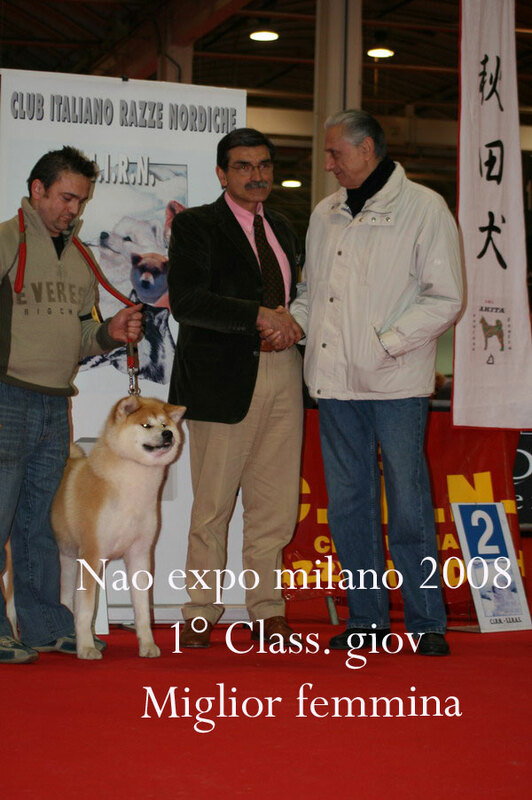 It is no secret that Nao produced amazing Akitas in Italy, she also won her share in the Showring, notably at the Akita Cup 2008, I see in her records several BOB, CAC, CACIB...and the Babies are also winning. 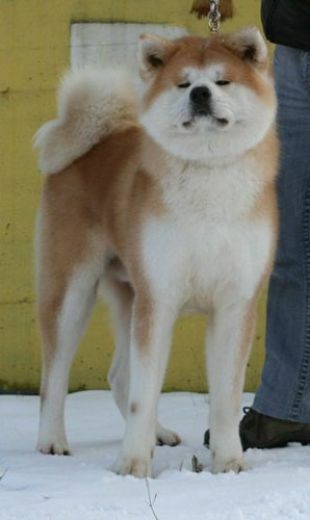 Nao has an amazing head with the best ears I could ever wish for, round -short and very forward. A big strong built Lady, square and I mean square on every corner. Cannot put a foot down wrong . A happy Lady 24-7 always wagging her tail, smiling and acting like a puppy. 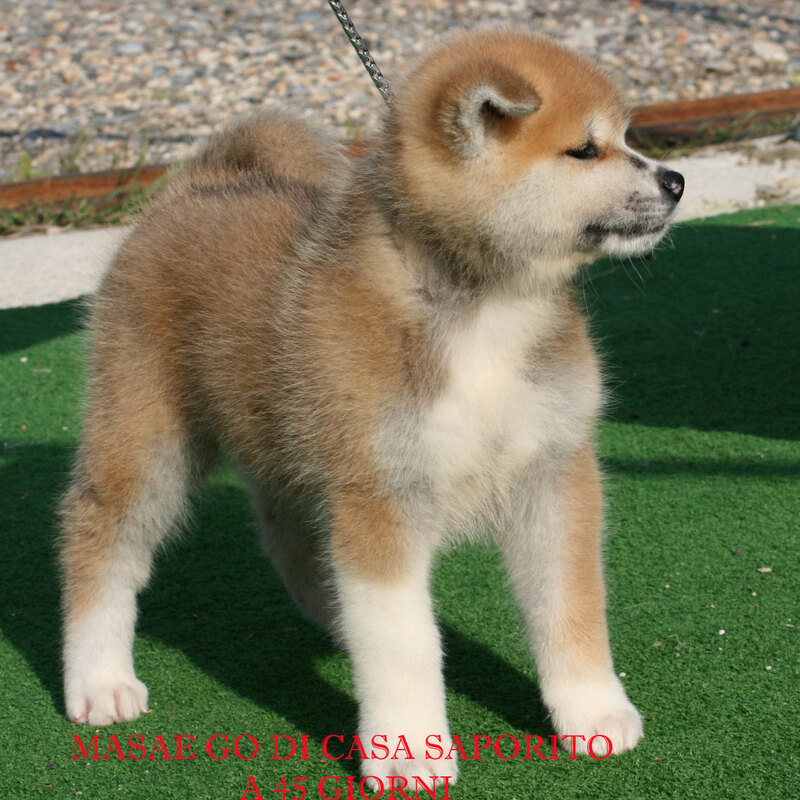 We hope to get a few litters from Nao and also build our foundation stock before we retirer her. 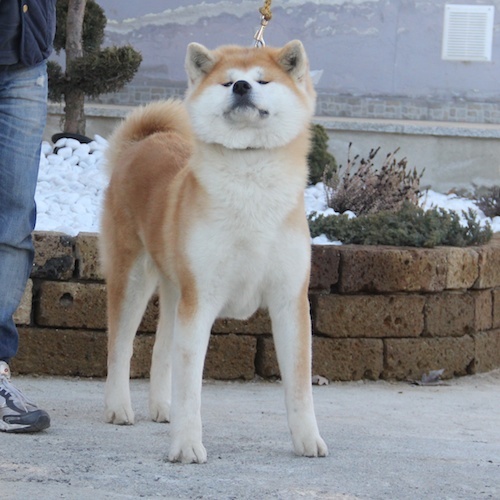 She is Akiho, great pedigree and has a full rich red coat. 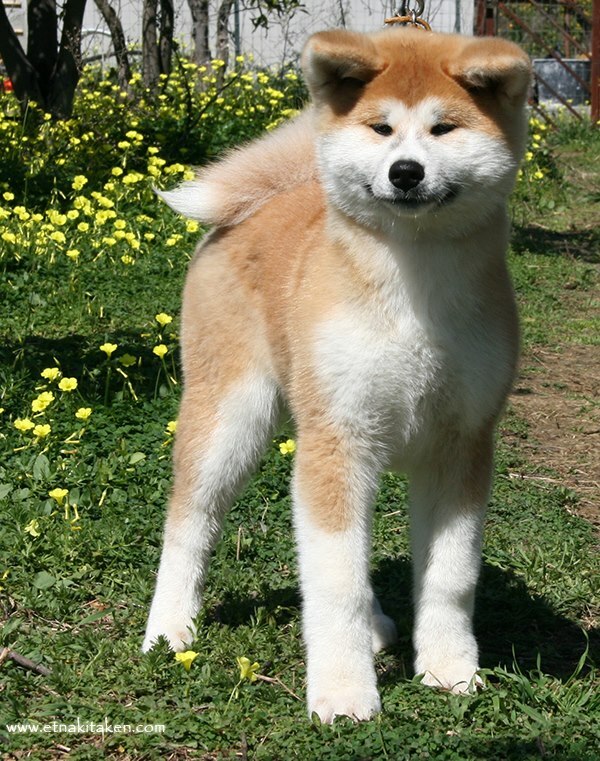 Nao just turned 6 and we are training her slowly to be a house pet--she does not seem to object!! 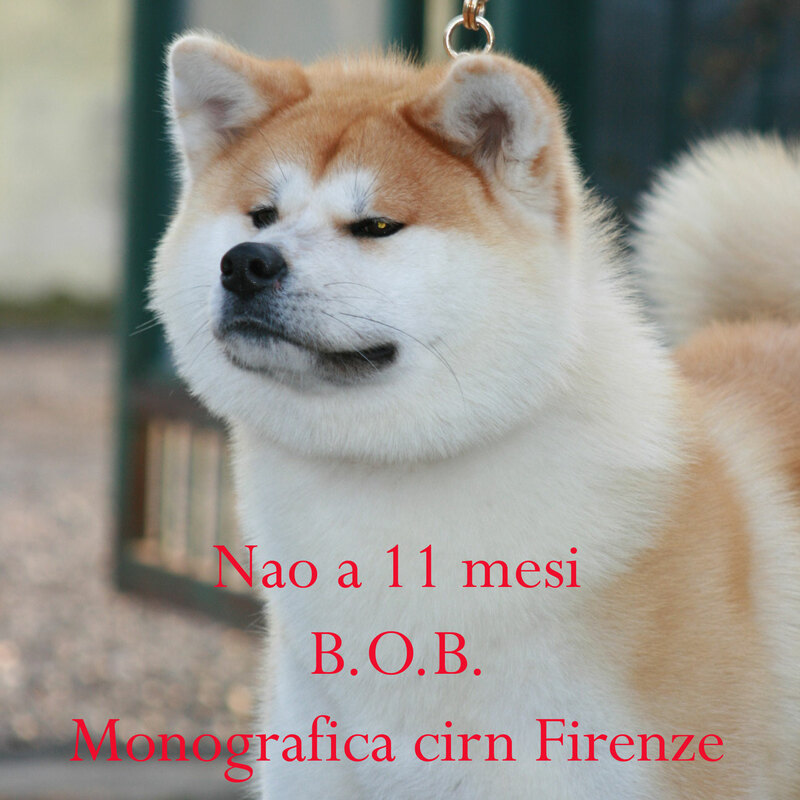 Thank you Antonino Saporito for this oportunity and your great Professionalism in sending Nao to Canada! 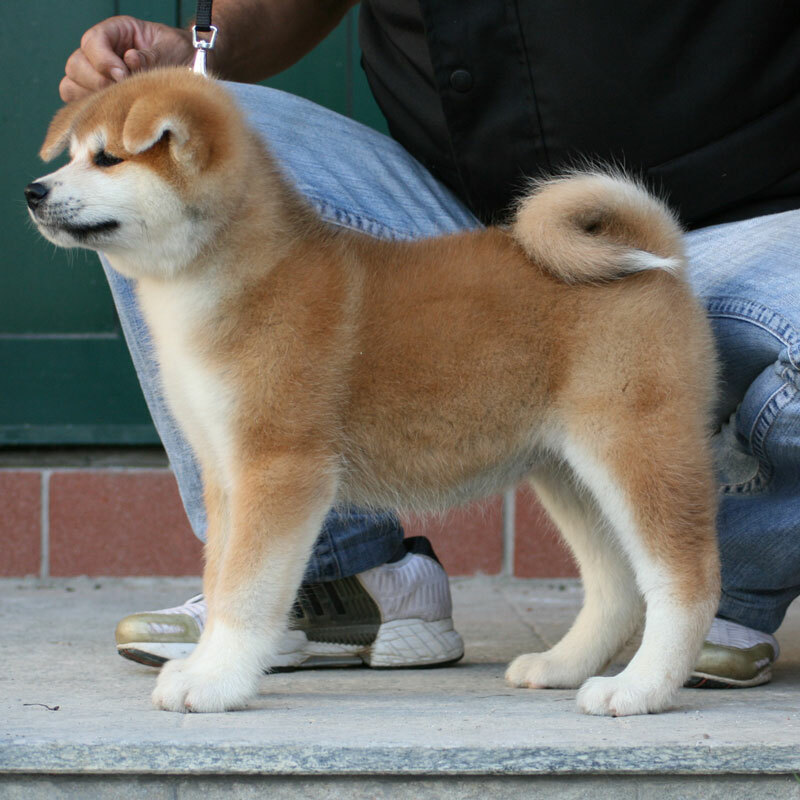 Tony Bred Nao to Zuiun before the import-we keep our fingers crossed!